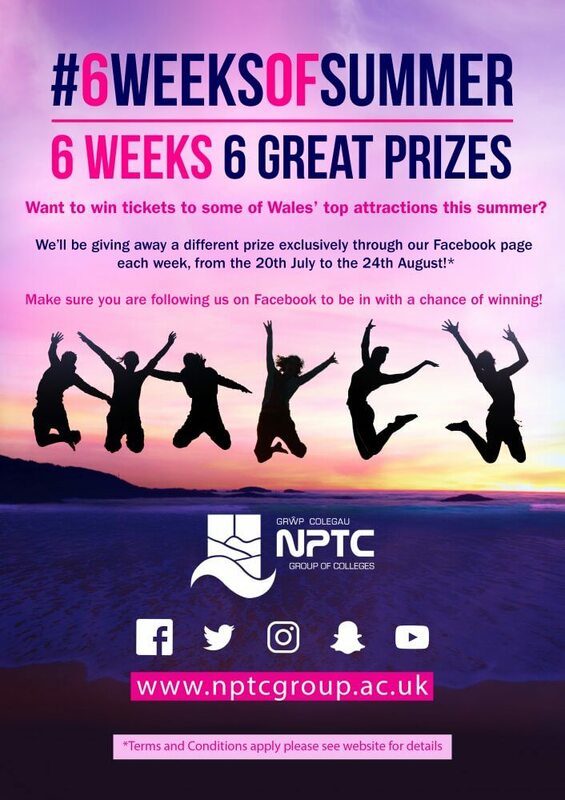 Win tickets to some of Wales’s top tourist attractions with our #6WeeksOfSummer competition! Multiple entries will be counted once; any entries that contain profanities will be disqualified. Closing date for entries will be at 4pm on each Friday, from 21st July 2017 to 25th August 2017. After this date and time, no further entries to the competition will be permitted. The entry instructions of the competition will be communicated each week in the associated Facebook post. 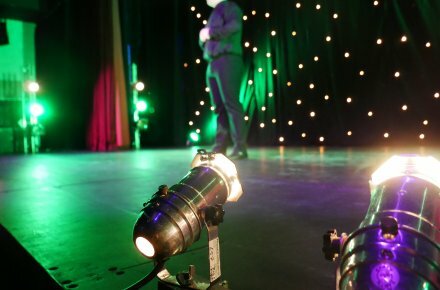 Please note, you must like NPTC Group of Colleges’ Facebook page and share the post to be entered into the competition. Each prize is explained in the associated Facebook post. Each prize consists of entry/tickets for 2 people. Please note, some of the activities have age and date restrictions. Please refer to the third party companies’ own terms and conditions. NPTC Group of Colleges cannot be held liable for any for any loss, damage, or injury at associated third party companies’ locations. NPTC Group of Colleges reserves the right to cancel or amend the competition and these terms and conditions without notice in the event of a catastrophe, war, civil or military disturbance, act of God or any actual or anticipated breach of any applicable law or regulation or any other event outside of the promoter’s control. Any changes to the competition will be notified to entrants as soon as possible by the promoter. Each winner will be notified by Facebook Message after 4pm on each Friday. We reserve the right to withdraw the prize from the winner and pick a replacement winner. Please contact marketing@nptcgroup.ac.uk for any further enquiries.